Stamp with Melva: It's a great month to stock up on Designer Series Paper! It's a great month to stock up on Designer Series Paper! 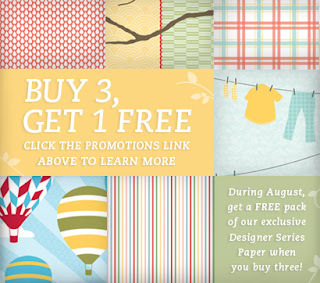 During August, you will get a FREE package of Designer Series Paper when they buy three! It's a great time to stock up on all of your favourites, including brand-new designs from the 2011-2012 Idea Book & Catalogue. If you want to take advantage of this limited time offer, email me or call me, or visit my on-line store 24x7 before August 31st!